BREAKING NEWS: The Boston Celtics are after Anthony Davis. OK, so that's not really breaking news. It's not really even news. 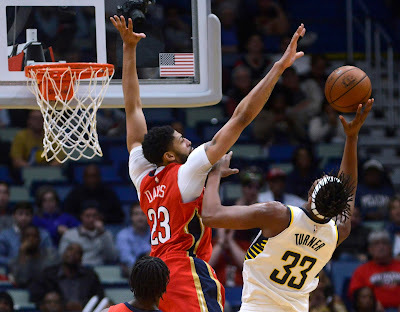 After all, anyone with a pulse and any semblance of basketball knowledge would want AD on their squad. The question isn't "do the Celtics want AD?" The real question should be: is the possibility of Davis suiting up for the Celtics pure conjecture? Or is it rooted in some truth? Look no further than Celtics longtime play-by-play man Mike Gorman (congrats to him on his recent 3-year extension, by the way) for the inside scoop. 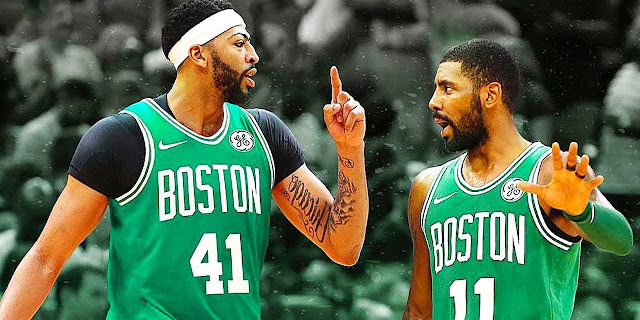 "I know the Celtics ... really would like to see Anthony Davis in a Boston uniform." So, what's stopping this from happening? 1) The Celtics can't acquire AD this season even if both sides agreed to it, courtesy of The Rose Rule. NBC Sports Boston's Chris Forsberg gives the most digestible breakdown of what this means. The NBA’s collective bargaining agreement has a clause for what’s called “designated players,” which was designed to help elite young talent earn a higher percentage of the salary cap when coming off their rookie-scale deals. Nicknamed the “Rose Rule,” in honor of Derrick Rose, players can earn up to 30 percent of the cap by hitting certain benchmarks. Both Kyrie Irving and Anthony Davis took advantage of this provision while inking their current deals. Here’s the hitch: Teams can only trade for one player extended via the Rose Rule, meaning that Boston cannot currently trade for Davis, having already acquired Irving via trade. 2) We would have to give up a lot. Namely second year sensation Jayson Tatum. I mean, if I'm New Orleans I'm not making the move without him. Now, I think you have to do it if it means AD, but I'd absolutely hate to see him go. Along with Tatum, the Celtics would probably have to send Jaylen Brown plus a slew of their picks. It would take a lot. Is AD worth it? Considering he averages 27 points, close to 13 rebounds, and nearly 5 assists per game, not to mention being a defensive menace and all-around unstoppable talent, the answer is yes, he's worth it. Let's not forget: we're the Celtics, on a mission for Banner 18, nothing else. 3) The Pelicans have to be willing to trade him. This is a biggie. The Pels would be asinine to move this guy. 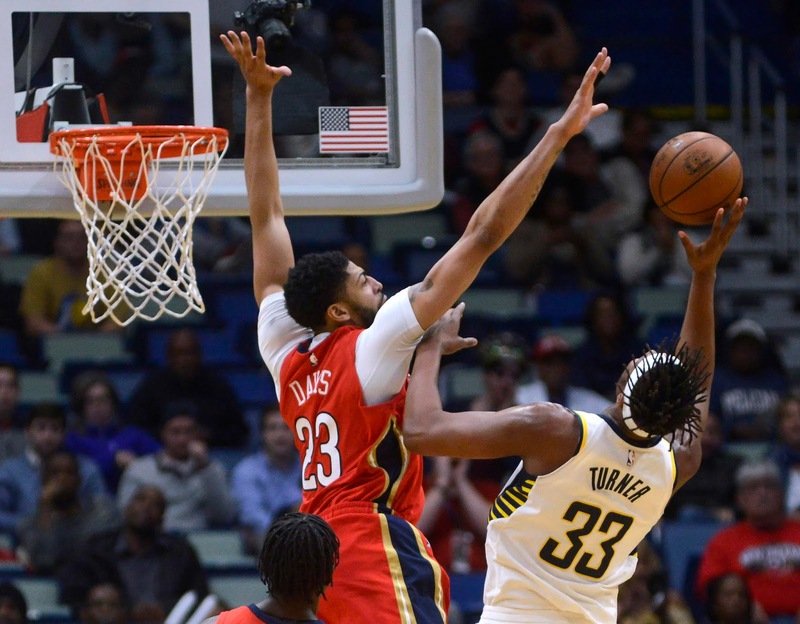 That said, if he doesn't accept the supermax extension that can soon be offered to him, then the writing on the proverbial departure wall would signal the Pelicans that a trade is necessary. There are pros and cons to every move. One of the pros not discussed is that this would block AD from becoming a Laker. If he's in Boston, with his dude Kyrie, then Lebron's agent or not, AD would likely be a Celtic for the remainder of his career. Personally, I want AD (duh). And I sure as hell want to prevent the Lakers from snagging him as an AD/Lebron combo would be outrageous. What do you think? Should the Celtics include Tatum in a potential deal? Ship Kyrie off? Gordon Hayward? Big Al? Who gets moved? Let us know your thoughts in the comments below.